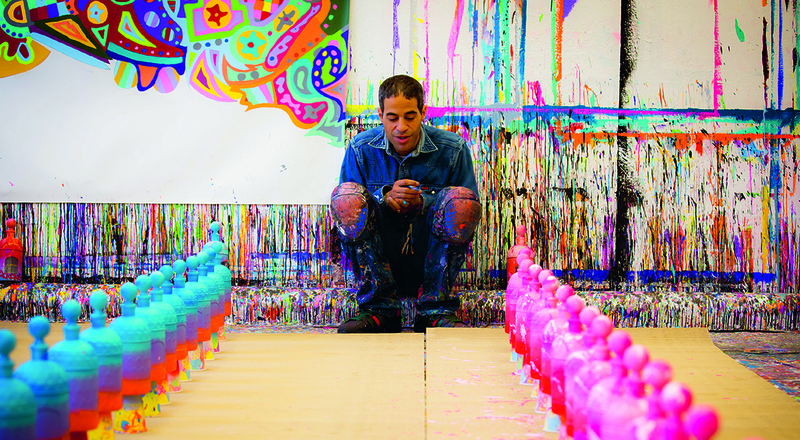 Guerlain has unveiled a striking and colorful collaboration with street artist John Andrew Perello, better known as JonOne. The surprising meeting inspired an arty reinterpretation of the “bee bottle” in a special limited series. Created in 1853 as a special order for the marriage of Empress Eugénie to Napoleon III, the bee bottle is a timeless icon of the Perfumes and Cosmetics house and the subject of earlier tributes by several artists. To begin 2016, JonOne proposes his own contemporary take on the 69 bees. 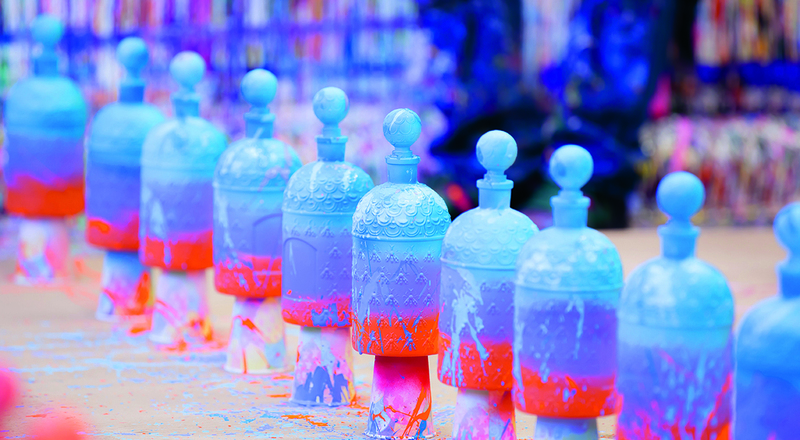 Nearly 100 bottles in the Guerlain Exclusive Collections lab became a blank canvas, inviting the artist to give free rein to his inspiration. Each fragrance took on a different color scheme: blue tones for Shalimar, a palette of pink for La Petite Robe Noire and orange hues for Rose Barbare. 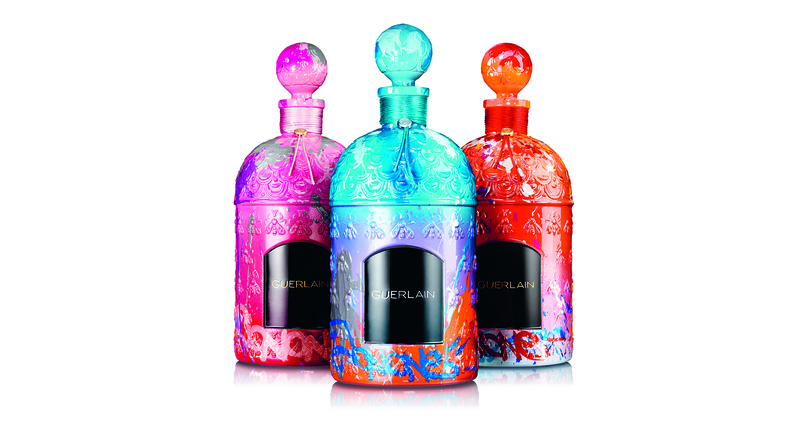 The one-liter bottles are veritable works of art, engraved with the Guerlain name, numbered and signed by the artist. They are available exclusively at the Guerlain 68 Champs-Elysées boutique, which is also hosting an exhibition of JonOne’s large format work.